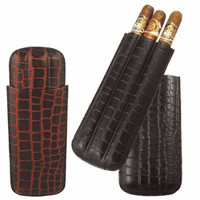 This black leather case fits neatly in a coat pocket or briefcase, and holds up to 3 6-ring cigars inside! 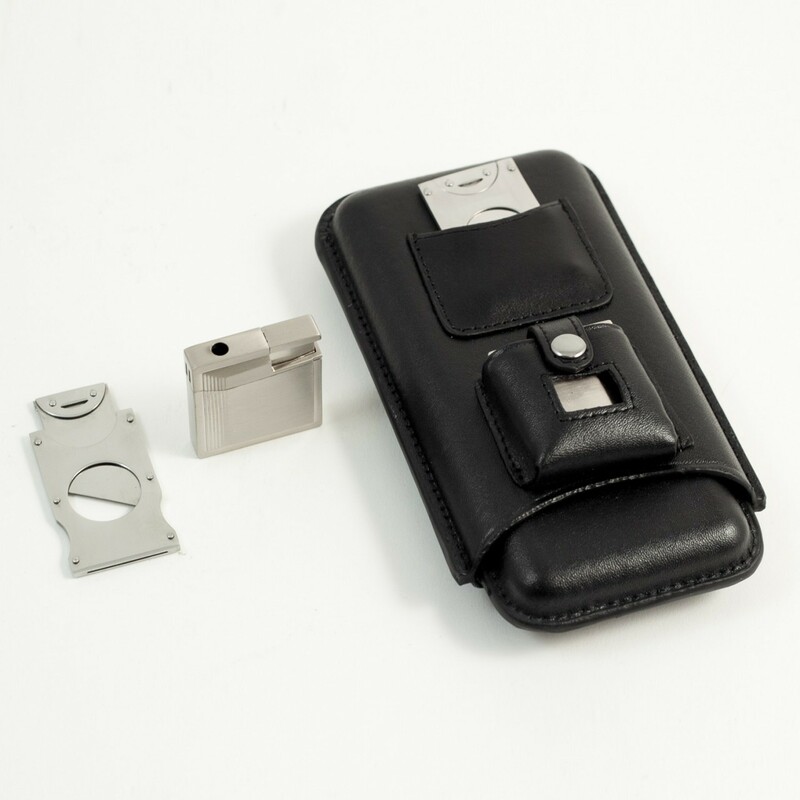 On the exterior, there are leather pockets for a stainless steel cigar cutter, and matching butane lighter. The lighter and cutter can be laser-engraved with up to 3 initials, available at no extra charge, creating a unique and personal gift for your favorite cigar aficionado! 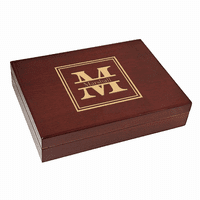 The set comes packaged in a handsome gift box, perfect for any special occasion! I bought this as a present -- it arrived faster than expected and was more than I expected in person in terms of craft, leather, and function. I thought it was clever and different and I wasn't disappointed. 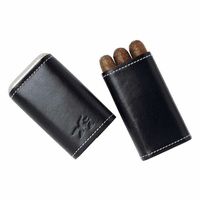 The (black) leather was thick and the 3 slots for cigars ample. I was surprised the the engraving I asked for was on the lighter, not the case -- a very nice touch (especially since it is free!). I recommend it highly if you know a cigar smoker. ProsWell made, handsome and practical.